Eh, some good, a lot bad! It’s looks a lot better and navigate a smoother, but now I can’t see the in/out times for the people I work with like I could before and it’s really annoying to have to select the calendar and then chose location just to see who works for the day, you have to do that every single time you want to view the full staff schedule for the day!! Please fix!! I’ve had the app for 3 years. I feel like in 2018 it shouldn’t of taken that long to get a decent up to date app. But alas we finally got a new updated version. Not to shabby. Still wish it was a bit more modernized. The old update was much better then this one. This new update is terrible I used to be able to see who and what managers are working during a shift. Now it hides everything the days are confusing it’s above the actual date. This new up date is horrible. It’s not user friendly and it hard to see what day you are working. It is obvious that they talked to people before they made the new version. The old version was kind of weak. New version does all of the things I would want it to do. I think they need couple of tweaks and they will move from good to really good. The new version is not even showing me the correct schedule. The older version at least did so. Not worth my money if app isn’t fixed quickly. Good app. Does a lot, but the update took away one of the its best uses and that was being able to see who is working on your shifts. Please change back. Why would you change it so the calendar is organized by names in alphabetical order instead of by position and time ? It makes the layout so confusing and it’s not helpful at all. Worst scheduling app I’ve ever used. Half the time the app doesn’t even sync up with the online schedule so when I try to pick up or release a shift my manager doesn’t even get notified. So we end up having to manually do everything through the computer anyway. Which annoys my manager because I can’t just “do it through stafflinq” 🙄 TRUST ME. I WISH I COULD. 🙄🙄 there’s no way to send out a mass message to all servers, like a “hey I can’t work Thursday.. could anyone work for me?” Unless I want to go through and individually message everyone. This isn’t even the beginning of my list of complaints for this app. I’m also curious as to who owns this app because I’ve heard it’s somebody that also partners with Metro Diner.. and I just expect more out of them. We make all these changes and I can’t wait to see a Metro Times with the header “We No Longer Use Stafflinq! !” because this is pathetic. Get it together. It needs to be updated ASAP. Very inconvenient. Doesn’t work at all like the website and costs 3$ for it to just say “try again later” when I try to view my schedule. Want a refund. This app is an example of a company that has no commitment to quality. It's NOT worth any amount of money. This app is not worth your money, time or energy. It works about once a month and doesn't let you message coworkers on it. I'm not really sure what it's good for. I didn't want to use the review area for support issues but can't contact support from the app or from here. 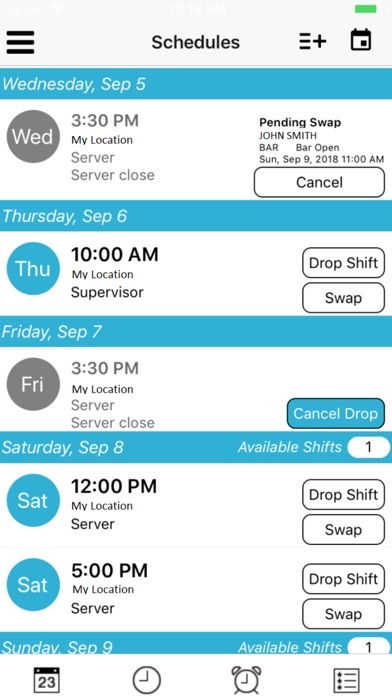 The app will not let me request shifts, won't show if someone has requested to pick mine up. Rarely notifies me if anything. The app is ok to check schedule, but isn't like the website at all. Much prefer looking and using web vs the app. 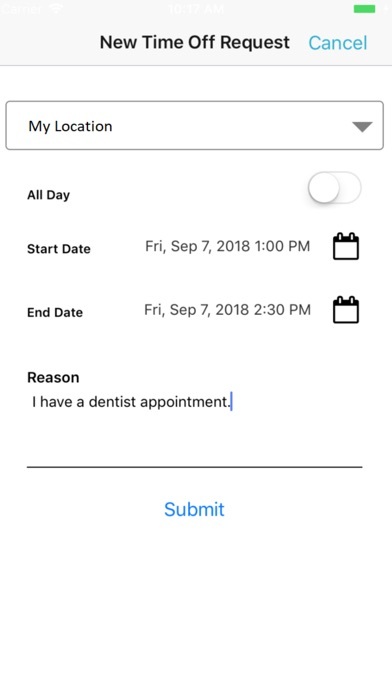 Doesn't update schedule to phone automatically like it says. Needs an update!!! This app used to work. 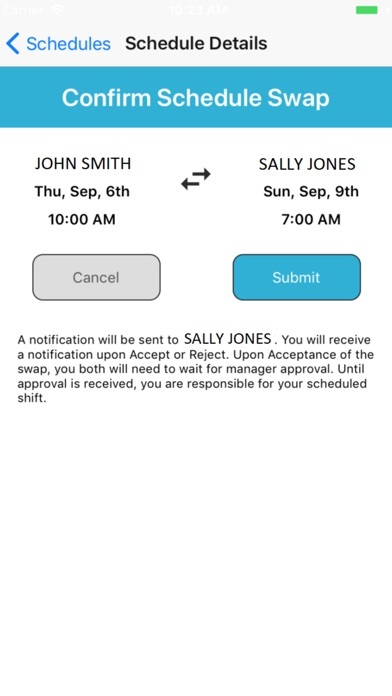 It would send notifications about available shifts, picked up shifts, removed shifts, etc. but since the update it doesn't notify you. Isn't work the 2.00 $ spent. Use the webpage. It's much more efficient. I had gotten a job while at school and they told us about this app for our schedules. It was working at first, and now it doesn't work. For example, when I log-on to the app, I press the option to view my schedule and it says null* ..what is that? Keep in mind that I paid $2.00 for this, and it doesn't work and is the worst app I've ever used. Half the time it won't show my schedule and just says "No Shifts" when I know I have shifts. I've emailed tech support 3 times and they have yet to respond or fix the issue. It's been a week now. It was working completely fine and then one day it stopped. When I emailed them to get it fixed I was told to create a new account or wait for an update. It hasn't been working for a week and there is no progress being made. Why pay $2.99 for less than what is offered on the mobile website? Waste of time and money. Unable to see what position each employee is scheduled under on "staff schedule" in app. Wish I could have a refund. Never opening again. It's really inconvenient I paid 3 dollars for an app that doesn't show me my shifts half of the time. On paper, great. In practical use, pointless. Cannot switch shifts, will not sync to my calendar!! This app is absolutely terrible. Doesn't work for its basic function trading shifts. 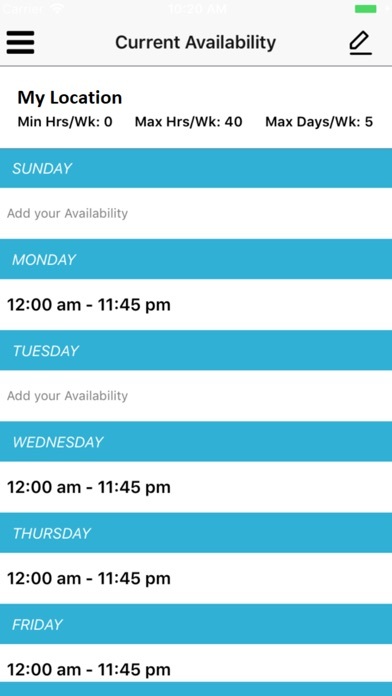 Cannot see available shifts through the app when you're looking to pick up hours. Spent $2.99 because the company I work for switched to this scheduling program and I wish I hadn't bought it. The only convenient thing about this app is that I don't have to sign in every time. Everything else is worse than the actual website. It won't let me request shifts. The staff schedule has no details or order to it. I end up signing into the website because it's ease of use and everything works. The fact that we have to pay $3 to see our schedule is very upsetting to me. This is a clunky, poorly built app. The most annoying part is that it gives the numerical date without saying "Thursday" or "Sunday" So I know I work two weeks away on the 28th, but then I need to check a calendar to see what day of the week it is. I hate this app almost as much as I hate the company who makes me check my schedule on it! I will have no problem giving this app a solid 5 stars once all the bugs are fixed. I have been with the company for a while now and I have been waiting for an app. This app has everything it needs to be successful, I just hope it is in the near future. It is cool that they finally have an app for it but it should definitely be free, it's not that great of an app. The app itself is very slow and how things are displayed is kind of junky; I don't know if that's just because it's an initial start up app and it doesn't have a lot of perks yet or what but hopefully they upgrade it soon and fix more of the bugs.